Many businesses are having great success using ecologically friendly packaging. Practically all leading packing companies offer a number of products that are made from environmentally friendly components or materials. Using packaging materials which are also eco-friendly comes with a number of advantages, some of which might surprise you. It may not be the first reason so many companies have gone the eco-friendly route, but few fail to let their target demographics know that they are making an effort to be a little greener on the planet. When your customers learn that you are using ecologically friendly materials, particularly in disposable packaging, they will feel better about spending their money with you. In fact, some larger companies and corporations have opted to only work with companies that make sustainability pledges. In other words, you’ll keep more clients, and attract more than you would otherwise. It may seem painfully obvious, but the benefits of actually being eco-friendly are not just moral benefits. Eco-friendly packing materials is almost always made from re-used or recycled materials. This reduces waste and improves the efficiency of the manufacturing process. Harmful plastics that require special precautions are minimal, if not absent, from environmentally sound packaging. This will save you a tremendous amount of expense and resources to deal with. A surprising benefit to using eco-friendly packaging is that it is also extremely versatile. These types of packaging materials have uses in nearly every major industry where standard packaging is used. This means you can use it for a wider variety of packages than other packing materials, and you will have more options open to you when it comes to working out creative designs for special marketing purposes. 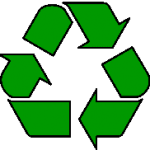 For example, recyclable materials can be used for packaging nearly all consumer goods, promotional products, or commodities of the like. Meanwhile, some other types of materials that may be more harmful to the ecosystem are limiting in their ability to be used for a wide variety of goods. Another plus is that eco-friendly packaging can also be used with most food products without worry. Companies that go through a great deal of disposable packaging material usually spend a great deal of time and expense moving and disposing of the supplies. Eco-friendly packaging is compostable, reusable, and recyclable. That means it can be used after the fact. For this reason, if your packaging is outsourced then some companies will offer discounts for choosing recyclable materials. Furthermore, generally speaking disposal of eco-friendly packing material is a simple process in comparison to other potentially bio-hazardous metals and other aluminum packaging alternatives. There are minimal special regulations for disposing eco-friendly packaging, so consumers will have an easier time disposing or recycling your products which could lead to increased satisfaction. If you’re looking for help maximizing the impact of your product packaging, contact EnVision Packaging today and let us help you with the finest packaging technology and materials.